Mr. Amewu said this would be done to ensure better value for money and better transparency. “AMERI as a company is an ongoing institution. They are rational like any other person. What will be best for this country is what we will do. The engagement processes will be more in an open and consultative process,” he told Citi News. The new agreement was to extend the current five-year deal with Africa and Middle East Resources Investment Group (AMERI) Energy, which is currently operating a 300MW emergency power plant in Ghana to 15 years. The government was expected to pay a total of $1.375 billion for the AMERI power plant over approximately 15 years instead of the original $510 million. But red flags were raised by Parliament’s Energy Committee over the cost and value for money, which led to the deal being eventually held back. The then Energy Minister, Boakye Agyarko, was subsequently sacked over the matter. 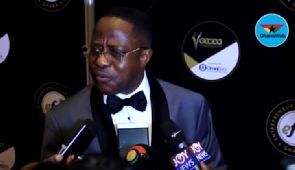 Mr. Amewu also spoke on the illegal tapping of power from the national grid.